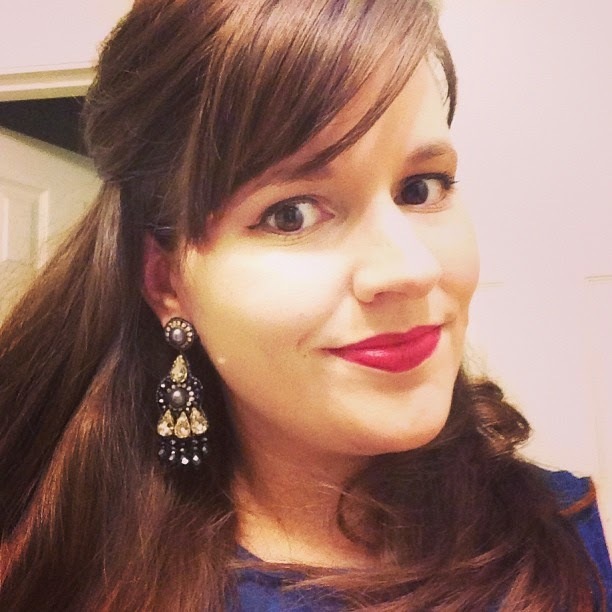 cardigan junkie: Win a LOFT Necklace & Tote - TWO Winners! This giveaway is closed - congrats to Neeharika and Laura! Thanks to everyone who entered - I wish I had dozens of necklaces for all of you! Maybe next time! Remember a while back when I offered up a LOFT necklace for a giveaway last month? Well, the amazing team at LOFT noticed all of your entries and awesome styling ideas and they thought that one winner just wasn't enough! 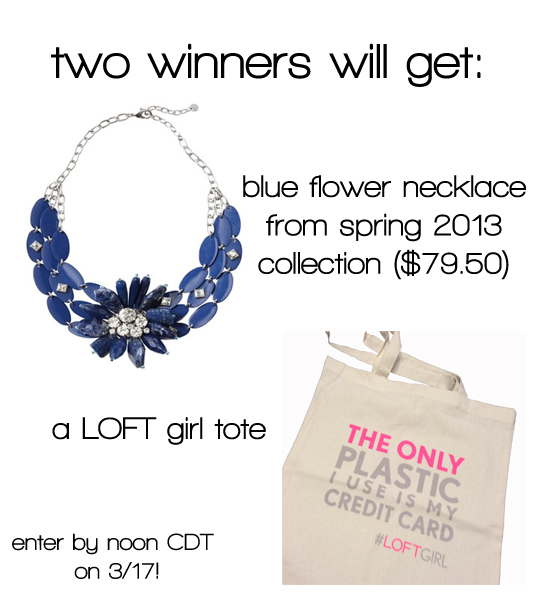 Today I'm excited to offer TWO readers the chance to win a LOFT flower necklace (worth $79.50!) and a cute tote bag designed just just for LOFT girls like us. This giveaway closes at noon Central time on Sunday, March 17th. I'll announce the winner on Monday the 18th! This contest is open to US and Canadian readers only, please. Disclosure: I did not receive any sort of compensation from LOFT to host this giveaway, but the prizes were supplied free of charge and I will personally cover the mailing costs. I'd wear it to work! And probably the grocery store... Why not? !